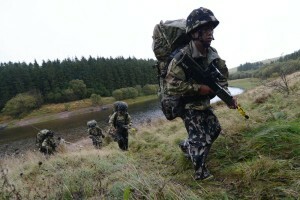 Several Gurkha teams have stormed to success in a wind and rain swept Ex Cambrian Patrol competition. 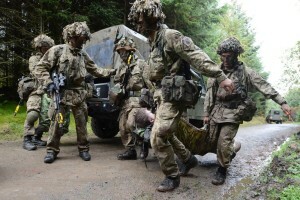 The annual event organised and run by 160 (Wales) Brigade saw the Nepalese Army team starting off the success with a Silver award, before Gurkha Company Sittang and 2 RGR teams took a Gold each. Navigating both by day and night, the patrols faced many testing and specialist challenges, including observation and reconnaissance of enemy forces, cold river crossings in full kit without access to boats, first-aid and an attack. 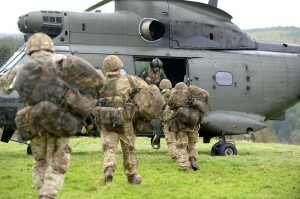 Military skills, stamina and dedication are constantly evaluated during the patrol and marked with a system of points. 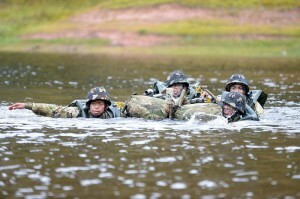 Teams that successfully completed their mission are awarded a gold, silver or bronze medal or certificate of merit, depending on the total number of points they have gained. In all, only five teams won the gold medal: 1st Battalion The Duke of Lancaster’s Regiment on phase one; Gurkha Sittang Company on phase four; 2nd Battalion The Royal Gurkha Rifles; on phase four; the 8th Battalion Garwhal Rifles team from India on phase six; and the 1WW Infantry School Ireland. There is a full photo gallery of the event available here.